Norcross – As winter makes its exit, it’s time to get started on a little spring cleaning. A time to clean and purge items in our homes and neighborhoods. To help keep Norcross ‘clean and beautiful,’ the City of Norcross is pleased to host a Neighborhood Clean-up & Recycling Day on Saturday, April 14th where residents can bring in documents to be securely shredded, haul in non-hazardous bulk items, and recycle electronics. DULUTH — The Southeastern Railway Museum will celebrate cabooses, the crews that called them home and their role on the railroad during April's Caboose Days. The museum will host the family-friendly two-day event from 10 a.m. to 4 p.m. on Saturday, April 7, and Sunday, April 8, greatly expanding the event from previous years. Does your upcoming or current middle school child have a little “wild” in them? Let them explore the coastal areas of Georgia this summer at the Adventures in Conservation Education camp. Participants at this camp will spend five days immersed in Georgia wildlife via hands-on activities and day trips, all while visiting some amazing coastal eco-systems. Lawrenceville – Gwinnett County’s bicentennial torch made its debut at the Gwinnett Historic Courthouse last Dec. 15 and has since been on display at the Gwinnett Justice and Administration Center, Lawrenceville City Hall and the Collins Hill and Lawrenceville branch libraries. Now housed at Lucky Shoals Park, the torch will next travel to Lilburn City Hall on March 21 as it continues a yearlong, 200-mile tour of the county. 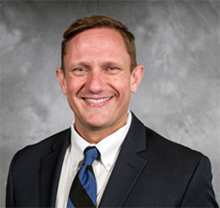 Gwinnett County Public Schools’ (GCPS) Director of Foreign Language Dr. Jon Valentine is this year’s winner of the 2018 SCOLT (Southern Conference on Language Teaching) Leadership Award. The award is presented to K-12 educators who have demonstrated excellence in language teaching through service to the school, community, active participation in SCOLT, and leadership and advocacy at the local, state, and/or regional or national level. GWINNETT – Katie Kreusel, a senior at Mill Creek High School, and Lauren Wyton, a senior at Grayson High School, have each accepted a spot in the University of Mississippi School of Pharmacy’s competitive Early Entry program.